A collection of designs from "Quilts Japan" magazine. 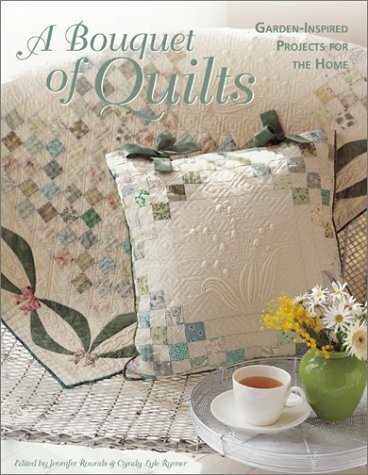 It features nine projects with designs for floral and garden themed quilts, pillows and more. The techniques range from traditional piecing and applique to trapunto and paper piecing. The volume should be suitable for all levels of quilters. A collection of designs from “Quilts Japan” magazine. It features nine projects with designs for floral and garden themed quilts, pillows and more. The techniques range from traditional piecing and applique to trapunto and paper piecing. The volume should be suitable for all levels of quilters.